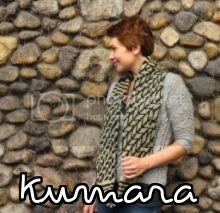 Today sees the release of the Kumara Cowl, a design that you'll be able to find in the new Holla Knits! issue. Let me take a moment to share the story behind this pattern: Kumara represents a lot of firsts for me. This was my first design proposal that I ever sent in and luckily, it happened to be my first acceptance. I've continued to submit plenty more design proposals to other magazines since then and have had to learn how to handle rejections (which I think I'm used to by now), but having my first design accepted really helped my motivation and confidence moving forward. So thank you Allyson for believing in my design! Secondly, Kumara is my first pattern where I have incorporated a taniko motif into the design (I designed the Ngaru Hat after Kumura). Blending the Maori arts and knitwear designs has always been on the forefront of my mind ever since I picked up my needles to learn how to knit. Kumara is a seamless, tubular cowl that combines modern knitting with the Maori culture, with trendy stripes and a simple fair-isle motif that is rich in history and culture. The colorwork motif lends itself from Maori taniko designs, a form of traditional weaving. This particular patterning is called “rau kumara” or sweet potato leaves: an important stable food in Māori cuisine and is associated with the Māori god Rongomātāne, the god of peace. Long enough to be wrapped up cozily around the neck, you’ll be glad to have this piece in your wardrobe during the winter months! I would like to thank two people for this design. Firstly, of course, Allyson Dykhuizen for accepting my design. It had been such a pleasure working with her - such great communication and friendly yet professional responses. I certainly hope I get the chance to work with her again in the future. Holla Knits! really encourages out of the box and unique designs, something that really forces the designer to step out of their comfort zone and try something new! Secondly, I want to thank Julie Asselin for the yarn support. I used her yarn line Sevilla for the blue and gold sample and it was such a pleasure to work with. I'll be posting a Yarn Cakes and Tea episode about this later this week so I'll be able to gush more about it then! 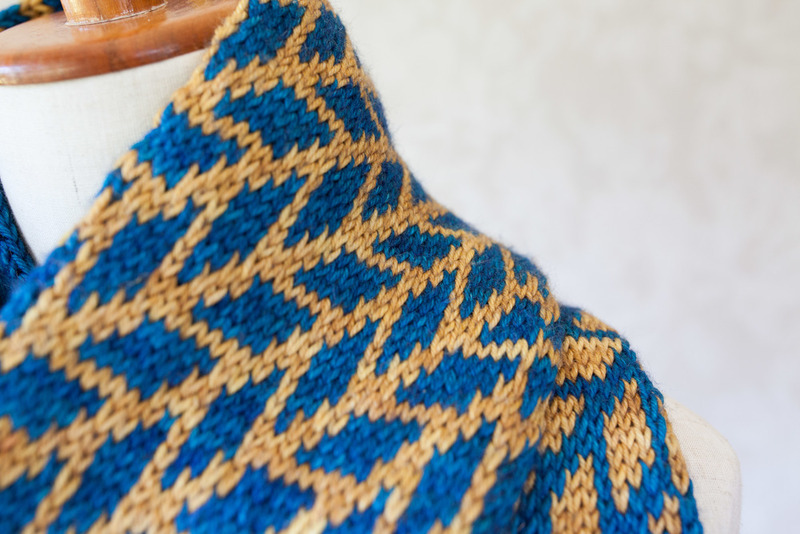 You can get the Kumara Cowl pattern at the link below! I'll also be uploading it onto Craftsy and LoveKnitting later in the week (more purchasing options for the people!). But I won't be ending this post without a giveaway! Just leave a comment below (with your Rav ID) and I'll be picking out a winner at random this Friday! (Please note that the comments may not be mobile friendly. I'm still trying to fix the issue but you'll have to use a desktop computer in order to comment).